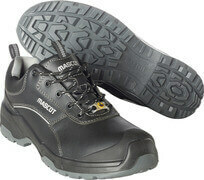 The MASCOT® FOOTWEAR FLEX footwear is made of lightweight materials, and the finished products are some of the most lightweight footwear on the market. At the same time, the flexibility at the forefoot is in a class by itself. 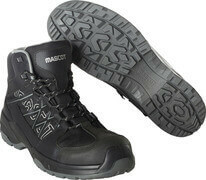 Say goodbye to heavy, rigid footwear that gives soreness in the feet and back, and say hello to MASCOT® FOOTWEAR FLEX. Shoes and boots in the range MASCOT® FOOTWEAR FLEX makes it possible to be effective many hours of the day without getting sore feet. 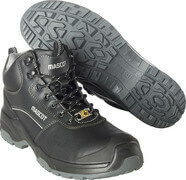 This is due in part to the low weight, which comes partly as a result of foregoing metal parts within the footwear. 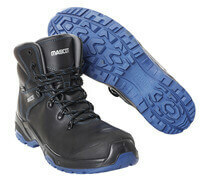 The toe cap is made of a composite material and the mid-sole is of a special textile material. 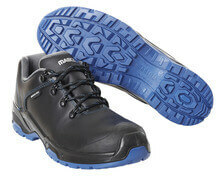 Since the shoes are metal-free, you also avoid being exposed to additional cold or thermal stress. Unlike metal, composite and textile are non-conductive. Since the midsole is made of textile, it is more flexible than a midsole made of metal, and bends more easily when you are in need of flexibility. In particular, the front part of the shoe bends very flexibly with the foot, so the shoes follow the natural movements of the foot when kneeling, for example. In addition, the shoes have shock-absorbing sole and insoles to reduce the shocks you incur throughout an active workday, and makes the shoes feel extra soft to wear. 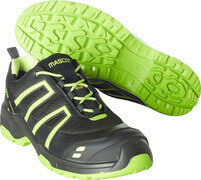 The footwear is also equipped with an insole with optimised arch support that can counter the tendency to flat foot. Conversely, it is necessary that the back of the shoe is stable. 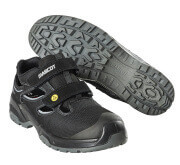 Among other things, a stabilizing insert is placed in the back part of the footwear to provide stability for the feet when working on uneven surfaces, ladders, etc. 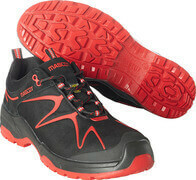 When footwear bends in the wrong places or lacks stability, it can lead to tired and pained feet. In addition to the different designs, colours, and outer materials on FLEX safety footwear, you can also choose from different closing methods, depending on what suits you best. With the Boa-closure, you can quickly get the shoes on and off. The stainless steel laces evenly distribute the pressure on the instep, so nothing rankles. Alternatively, some of the FLEX safety footwear styles come with shoelaces, so you get footwear that is completely metal-free. All the styles are approved to the highest class of slip-resistant soles, and are, of course, approved in accordance with EN ISO 20345. 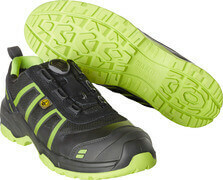 You can choose between the classes S1P and S3, where class S3 shoes have a waterproof outer material. The width of the shoes is width 10 (size 39-48), but there is also one pair of FLEX safety shoes found in width 8 (size 35-41), which is typically preferred by women.